Freedom or Feast: What would you do? 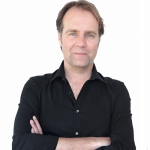 Frank has over 20 years’ experience in factual, drama, infotainment and gameshows and has worked for a number of major production companies in the Netherlands. At Insight TV, Frank leads the production team to develop industry-leading creative concepts. Key shows he has produced include Travel with a Goat, THRU, MTB Heroes and many more. Have you got the #goodfridayfeels?? It’s time to scream, shout, and let it all out because you’ve got a four-day #easter weekend! #tgif? Modern Explorers - Meet Niccolo Porcella Discover a whole new perspective of the ??? with Niccolo Porcella as he explores the limits of human potential. Embark on his epic journey with Jokke Sommer & Espen Fadnes as they pursue their dream of flying. ? Start your week right and take flight with @niccolo_porcella as he explores the ??? from an awe-inspiring perspective. Embark on his epic journey with @jokkesommer @espenfadnes as they pursue their dream of flying. ?
? Woohoo! You’ve reached the end of the week! ? Ignite the start to your weekend this #friyay with the spectacular characters from Inside The Masters of Dirt! ? Modern Explorers - Espen Fadnes Take to the skies with Espen Fadnes and explore the world from a whole new perspective, as he embarks on an epic journey with Niccolo Porcellaa & Jokke Sommer in pursuit of their dream of flying. ? Take to the skies with @espenfadnes and explore the world from a whole new perspective, as he embarks on an epic journey with @niccolo_porcella & @jokkesommer in pursuit of their dream of flying. ? @TheOtherBungle @SkyHelpTeam You can access all content by subscribing to https://t.co/CeWa3tOvQ8. @toasty83 @SkyHelpTeam @SkyUK In the meantime, Insight TV fans can access all content by subscribing to https://t.co/CeWa3tOvQ8. @toasty83 @SkyHelpTeam @SkyUK Our current contract with Sky UK expired on 05 April 2019. Is it midweek already?! Leap into #humpday and get over Wednesdays with some summertime inspo! Because life is too short not to, break-out the bikinis, and get ready to dive in with our free-living MTB Heroes! ? Is it midweek already?! Leap into #humpday and get over Wednesdays with some summertime inspo! Because life is too short not to, break-out the bikinis, and get ready to dive in with our free-living MTB Heroes! ? What gets you up on a Monday morning? Rise to the challenge of the new week and explore your human potential with ‘Modern Explorers’.? It’s #friyay so we’re chillin like a villain and sauntering into Friday with our feet up! What are your plans today? Share all your #tgif feels in the comments below! ? Modern Explorers - Jokke Sommer Explore the incredible story of renowned wingsuit pilot Jokke Sommer as he embarks on an epic journey around the world in pursuit of his dream of flying. ? Explore the incredible story of renowned wingsuit pilot @jokkesommer as he embarks on an epic journey around the world in pursuit of his dream of flying. ? 's cover photo Insight updated their cover photo. Soar to new heights with Modern Explorers - our new show dedicated to testing the limits of human potential. ? #throwbackthursday to the last time you felt EPIC! What memories come to mind when thinking of the last time you did something crazy and adventurous? ? This #humpday we are jumping over humps and diving into the next adventure with MTB Heroes! Because life doesn't start on the weekend, there is adventure all around us every day...even on a Wednesday ? Get fired up for the new week with our weekly dose of #mondaymotivation. Join us, as we draw inspiration from the teams and drivers participating in our new show, Endurance: 24 Hours at Spa. ? ?